It is the ultimate workbook series that helps children solve challenging word problems. 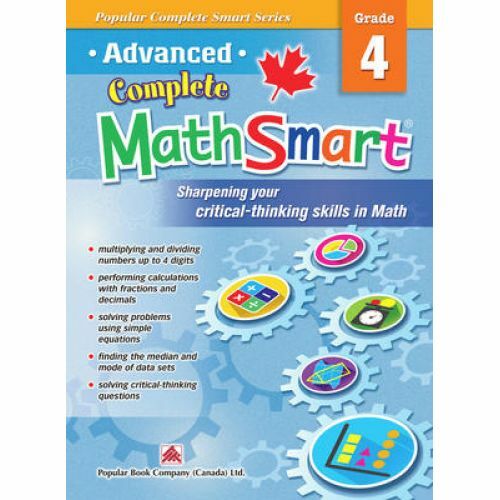 Each book in this series is comprised of two sections: the basic problem-solving section and the critical-thinking section. Children will have abundant practice on analyzing complex word problems, determining the appropriate methods required when approaching word problems, and presenting solutions in a logical way. Thorough step-by-step solutions are included in the answer key to help children understand how to arrive at the correct answers. 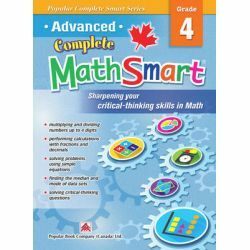 Through Advanced Complete MathSmart, children will be well-equipped with the skills and strategies essential for tackling math problems at higher levels. Grade 4. Paperback.